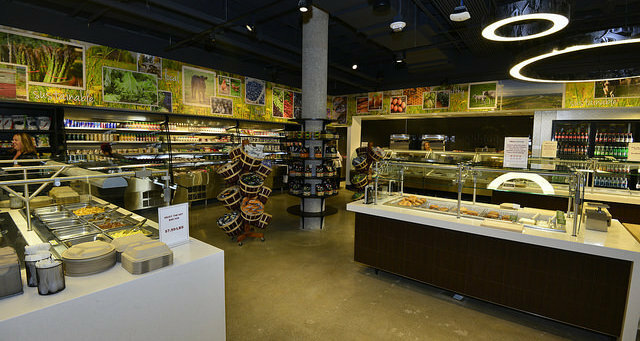 There are over a dozen different food options available in the Campus Center’s Blue Wall dining facility, including the Harvest Market, which has a hot food bar and a salad bar offering fresh and healthy ingredients, Tamales Mexican fare, Famous Famiglia’s pizza, sushi from Wasabi, and Paciugo’s Italian gelato. 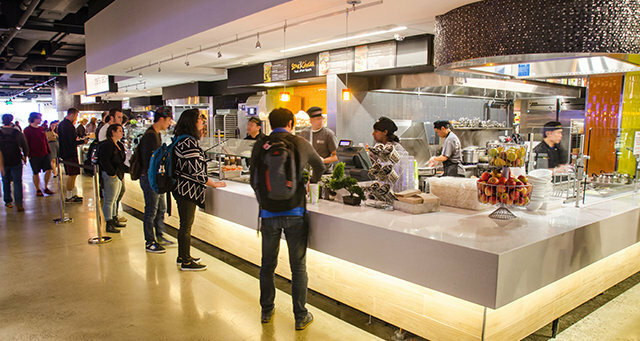 Most of these options will be available until 7:00pm Thursday through Sunday, but hours of operation may vary and are listed underneath each location’s detailed description on the website: http://www.umassdining.com/locations-menus/campus-center. The center of Amherst also offers a wide variety of options and is only a mile and half from the Campus Center. The local PVTA bus routes 30, 31, 33, B43, and 45 run between the UMass campus and downtown Amherst. View Yelp listings near the UMass campus.